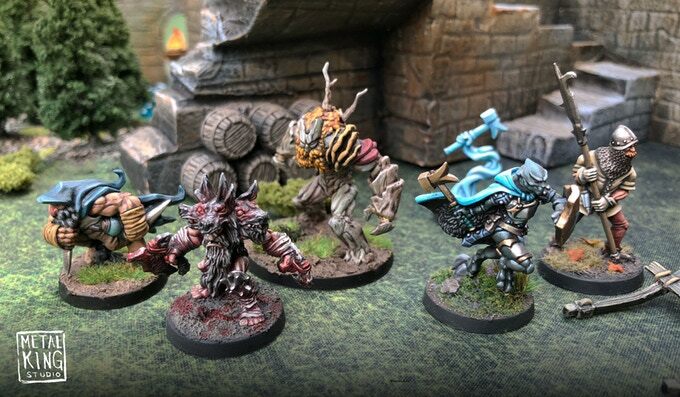 Der Kickstarter zu den neuen Relicblade-Sets endet heute. 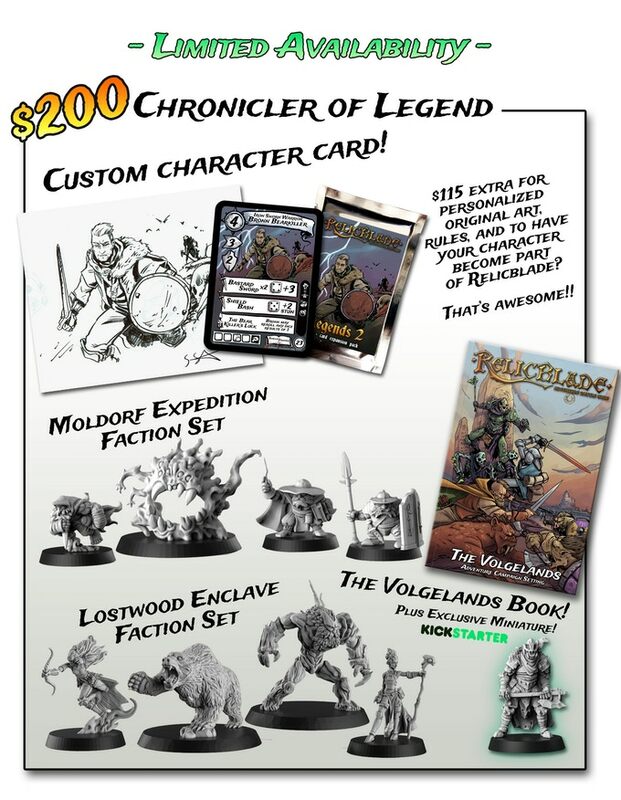 Explore the Relicblade Volgelands with the Moldorf Expedition and the dangerous Lostwood Enclave. 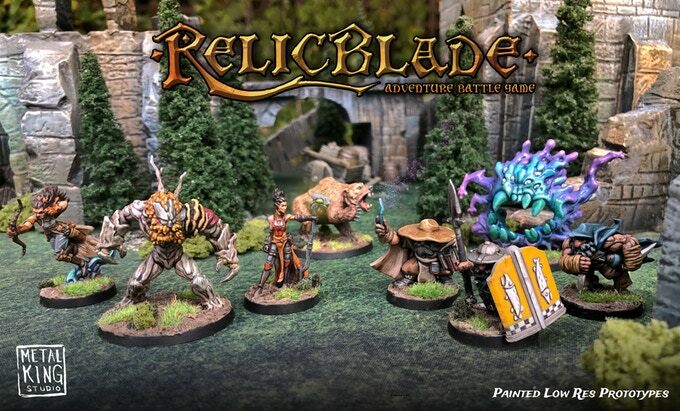 In Relicblade, players recruit the ultimate squad of fantasy heroes or cruel villains as they battle over the fate of the world. Choose your path and gather the greatest warriors of the age to your cause! Enter a world of magical treasures, wonders, and horrors. Compete against rivals in the bitter struggle for supremacy! The rules are deceptively simple and easy to learn, but you’ll immediately face deep tactical choices in this dynamic battle game. 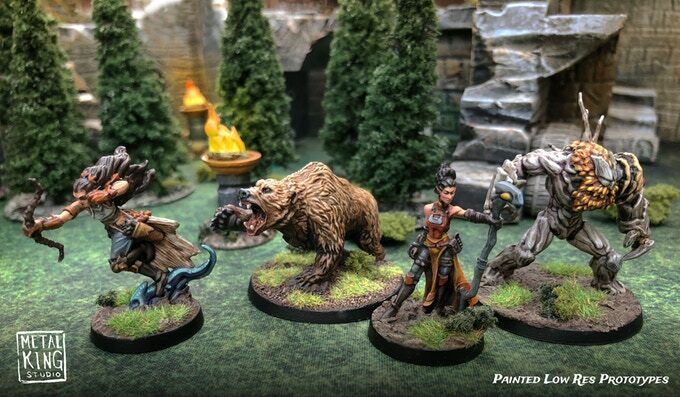 This ambitious Kickstarter campaign includes two new faction sets and a campaign book packed with adventures, lore, and much more! New Faction Sets not only expand the game, but also offer a great entry point for new players as they enter the dreaded Volgelands! 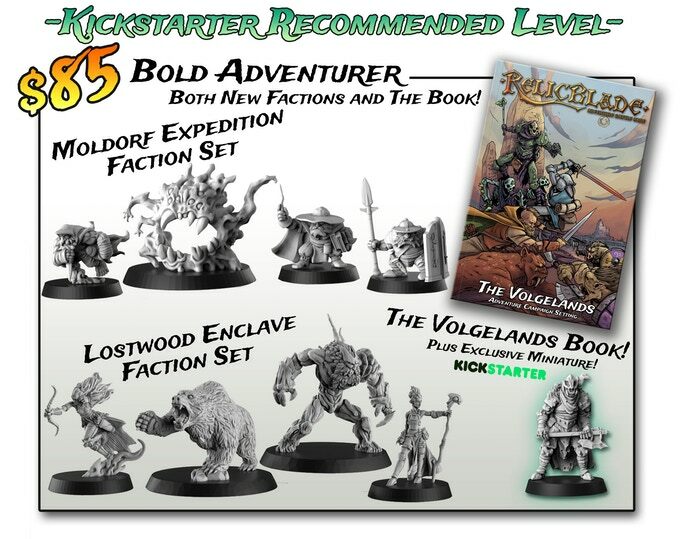 Get the Volgelands campaign book, both of the new factions, and the Kickstarter Exclusive „Vandas Greycloak“ miniature with the recommended Bold Adventurer pledge level! 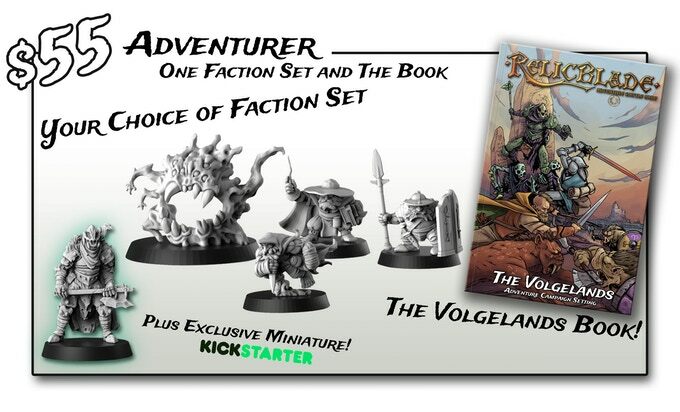 The Volgelands is the first campaign setting for Relicblade, and the first in-depth exploration of the Relicblade world. The book centers on the region known as the Volgelands. The port city of Riverhold is the beating heart of these cursed lands where feral magic still hold sway. Founded on the divine principles of Justice, but controlled by a powerful merchant class. Riverhold stands at a crossroad, both as a center of trade and a symbol of hope. Adventurers seek out the city to find their path. From this indomitable city, brave souls set out into the Volgelands, seeking a new destiny in a dying world. Regional lore concerning the history of the Relicblade world, Riverhold, and the Volgelands. Faction lore focussing on the Temple of Justice, the Lone Guard, the Battle Pigs, and the sinister Bone and Darkness. Map based narrative quest lines. Six scenarios in addition to the narrative quest lines. 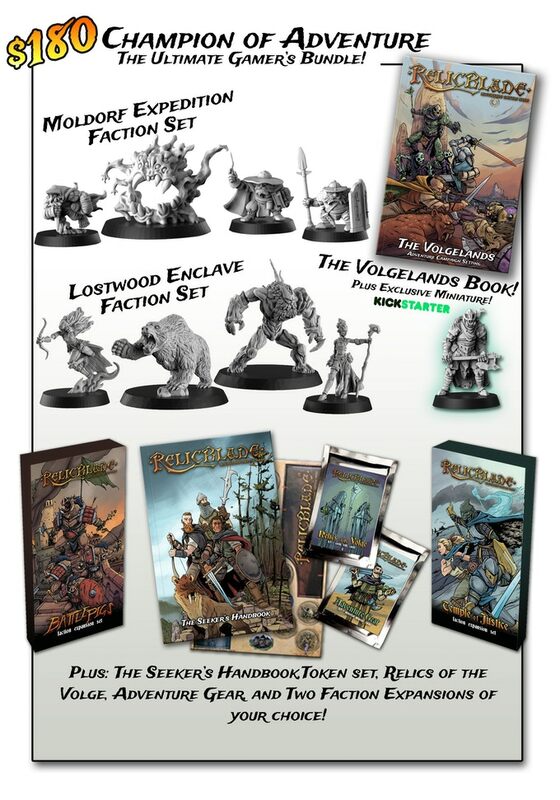 And optional campaign extras including Side Quests and more! There is so much great content in this book! It’s a little crazy to focus on one particular aspect, but I can’t just upload everything and say „SEE HOW COOL IT IS!! !“ with crazy eyes. But look at this dope map! These map based quest lines are great narrative adventures with cool details that bring it all to life. I can’t wait for you to play through them. Also, now that the cards are all in color I may as well make the books full color, right? 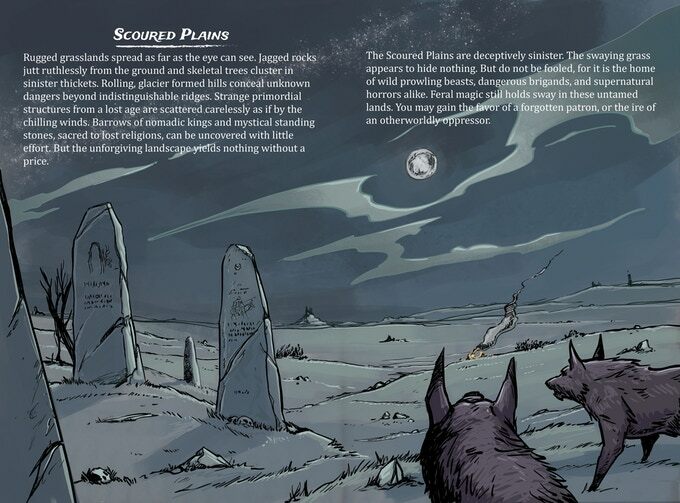 Here is a preview of the Scoured Plains environment two page spread. Kinda neat, eh? To celebrate the launch of The Volgelands, I sculpted an exclusive miniature of Vandas Greycloak: the Torment of Dusk. 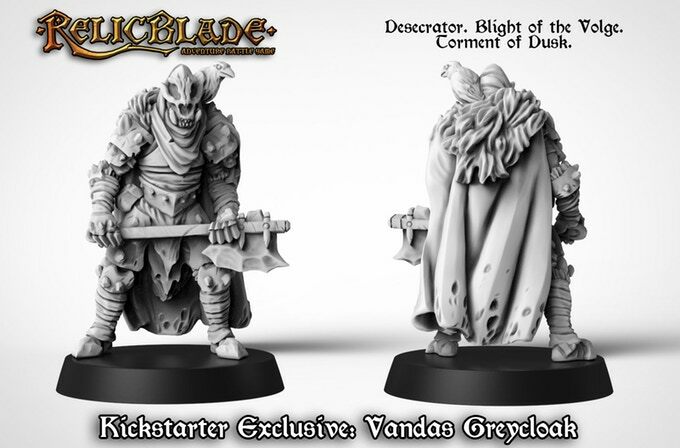 Vandas is one of the cruel Dark Wanderers featured in the new book. 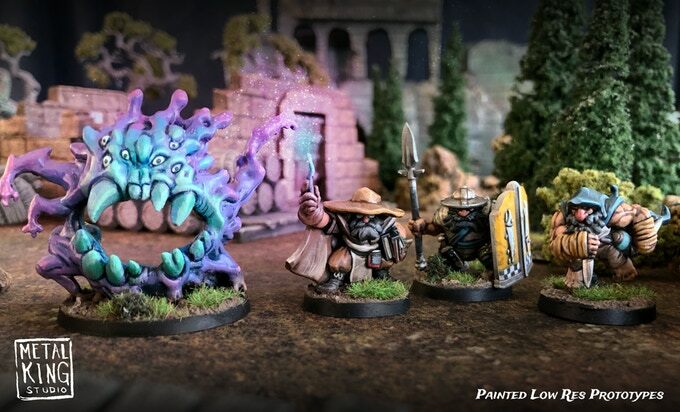 This miniature will not be available for general release after this Kickstarter Campaign, so be sure that you don’t miss out! The Moldorfs come from a strange dwarven society deep underground. Utterly detached from the surface, these intrepid explorers set out to discover the truth about a mythical world… An „outer land“ connected to an infinite „outer space“. Though it is surely folly, a powerful hearthguard warrior and a razor sharp rogue join the Bibliothecary on this absurd quest. The strange Lostwood stands to the west of Riverhold. It is the source of countless mysteries and haunting legends. The forests shifting boarders mark the boundaries of a most savage wilderness. Lone Guard watches stand vigilantly at its edge. Deep within the Lostwood stands an ancient empire ruled by the exile of the city of the dead, the immortal king Al’Adindred. 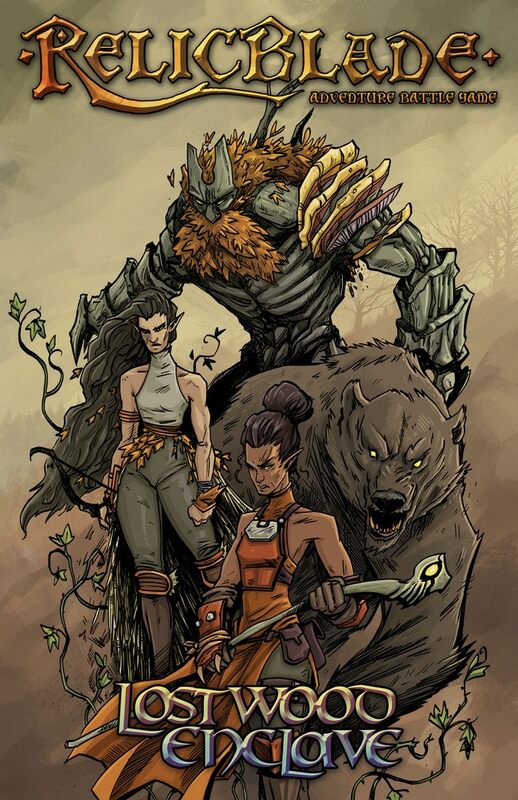 The Lostwood Enclave are a distinct faction who abide by the savage laws of nature. They are wanderers, protectors, and sages of the changed world. Though they are extremely dangerous, their souls are intimately tied to the advocate. 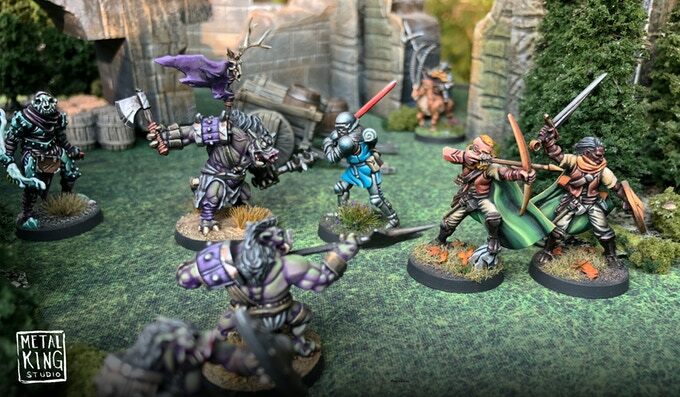 In Relicblade, players recruit the ultimate squad of fantasy heroes or cruel villains as they battle for the fate of the world. Choose your path and gather the greatest warriors of the age to your cause! Enter a world of magical treasures, wonders, and horrors. Compete against rivals in the bitter struggle for supremacy! The rules are simple and easy to learn, but players are quickly engaged by deep tactical decisions. Relicblade „factions“ represent groups that exist within the world. However, when you enter the game as a Seeker you choose between the good or evil alignments and gather heroes or villains to YOUR cause! Players use their influence to recruit characters. Will you be the fate that brings together a noble fellowship? Or will you bind wicked servants to your dark will!? Specialize your characters utilizing a vast arsenal of upgrade cards. Tactics, items, weapons, potions, and spells create the framework to customize your characters. Faction sets include a booster pack of cards with new characters and upgrades, so as each new set is released the options continue to grow with dynamic new list-building options. In the example below this Iguan Slaver has a combination of defensive and ranged attack upgrades, which shifts his battlefield role and greatly increases his survivability. This particular build includes cards from The Wretched Hive, The Lone Guard, and Adventure Gear card pack. 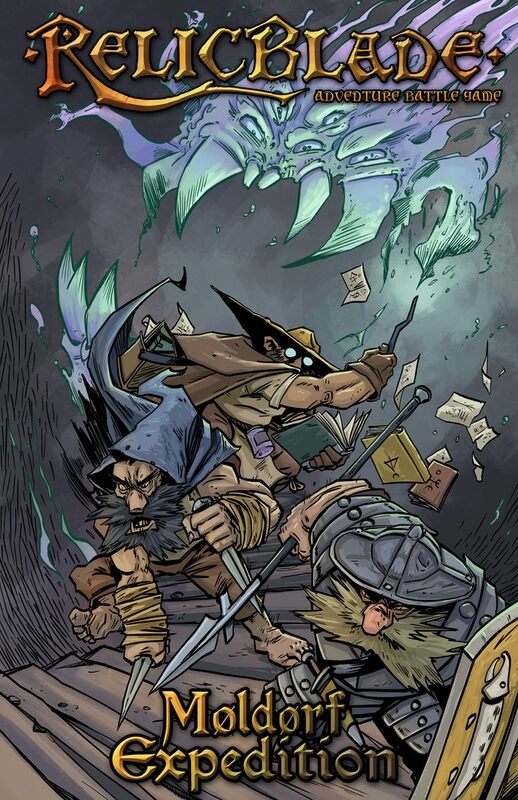 With the Seeker’s Handbook campaign rules players construct a base and lead their characters on dangerous adventures to claim magical treasures. 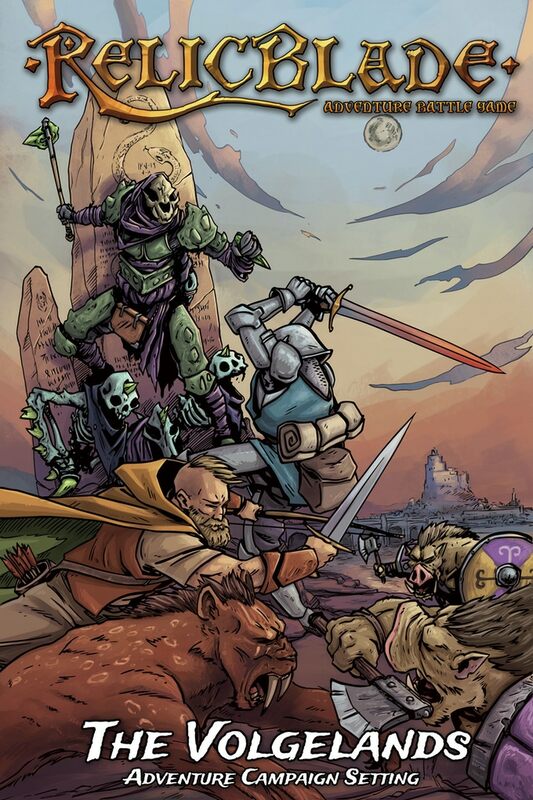 There are six scenarios, four environments, dangerous wild monsters, and rare treasures that pack each game with new dangers and unique challenges. The Seeker’s Handbook is a wonderful source for limitless adventure. 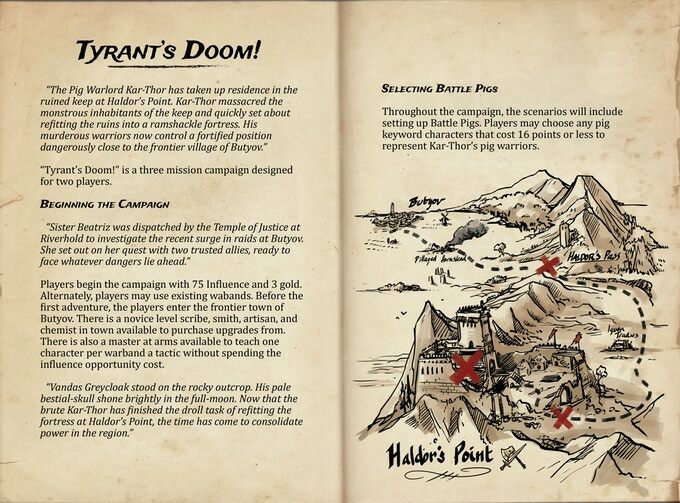 The Volgelands campaign book builds on the core rules in the Seeker’s Handbook with tons of exciting new content. Die Kampagne endet heute und ist bereits finanziert. Wieder schöne Sachen dabei und Sean ist so enthusiastisch dabei, dass ich ihn bisher alleine deswegen schon unterstützt habe. Aber dieses mal werde ich wohl passen. Hab einfach keine Zeit dafür. Was aber gesagt werden muss ist, dass Sean bisher die Termine ziemlich gut eingehalten hat. Die Kommunikation ist auch sehr gut. Weißt du ob die Sachen des Herstellers nach dem KS mal regulär zu erwerben sind? Ich find die Zwerge ja super und fänd es schade wenn sie das übliche Schicksal von KS-Geburten erleiden würden. Die alten Sachen schauen aber auch interessant aus. Gerne! Ach ja: es ist auch ein offizielles Solo Mod in Arbeit, da bin ich schon sehr gespannt drauf! Die Qualität der Miniaturen ist übrigens hervorragend – ich habe die Sachen vom letzten KS hier (leider noch keine Zeit gehabt zu spielen). Ich unterstütze Sean auch seit dem ersten Kickstarter. Die Sachen sind alle toll. Inzwischen nehme ich aber nur noch die digitalen Inhalte. Ich mag das Spiel sehr.